Do Away With Blinds, Get Tint! Although blinds, shades, and curtains can add to a room in the realm of design, they can be a pain when it comes to everyday life. If you can’t just throw them in the wash, curtains and shades have to be sent off to the dry cleaners, creating an extra expense. Blinds can be a mess to clean, and need to be replaced after a few years. Then there’s measuring and remembering what size you need. And if you want good quality, not only will you spend a good amount the first time, but you’ll spend the money again when they need to be replaced! 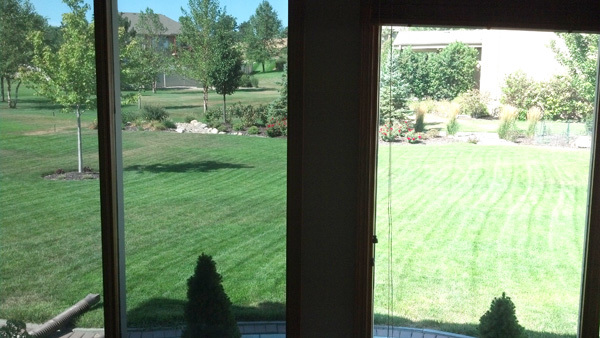 Window films are generally 50-70% less expensive than most window or glass door treatments. They also last longer and come with lifetime warranties. We can also cut film to size, so you won’t have to worry about measuring your windows before we arrive. Longer lasting, half the price, better control of sunlight…that’s value. Window Tinting helps protect your furniture, flooring, and other valuables from the damaging rays of the sun, but of course blinds, shades and curtains do this as well. The difference is you’re still able to enjoy the natural light when you install window film. Blinds keep out the natural light and prevent you from having a view to the outside. Many of our customers have found that their window tinting has paid for itself in less than a year thanks to the savings on their energy bills. Why continue to pay for high utility costs and blinds that only keep out the light, not the heat?